their new recordings and gear. I started playing guitar at 12, so that's 17 years. I'd always loved music from the 50's and 60's as a kid. When I started playing music, those influences really rushed in and never left. 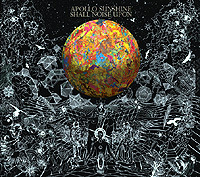 My latest album from Apollo Sunshine is called Shall Noise Upon. 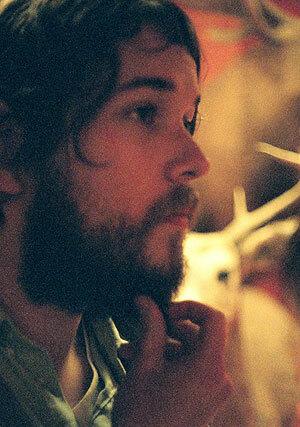 We recorded it up in the Catskills, in New York at a great place called Old Soul. That place was full of amazing instruments, and it has a 2" tape machine, so we were able to get great warm, saturated sounds and had lots of inspiration from all the possibilities those instruments gave us. Stylistically, the album is sort of a tour of all the different music we love and are inspired by, so that allowed for a lot of fun experimentation with different guitar sounds and ways of approaching my parts. I'm a big fan of oddball gear. I love the sound, look, and feel of vintage equipment, tube amps, etc... But i don't have a collector's mentality or the money to support that kind of habit. So I love finding those off-name old pieces that aren't yet totally overvalued. I'd rather have something really weird and rare than something really prized that I have to worry about keeping pristine. I did a lot of my parts through my '52 Gibson GA-20 amp. Those are amazing sounding, in the ballpark of a Tweed Deluxe, just darker in sound, and very affordable. At least they were when I got mine. My guitar is a pieced together franken-jazzmaster-copy with Gibson humbuckers and a custom analog delay built in. I got that done by a couple of friends called Herscheltronics and Casper electronics, who I work with regularly in Brooklyn. I also use fuzz pedals built by them. For acoustic, I love my old pawn shop no-name nylon string, but I borrowed some steel strings for the album (Gibson, Sovereign). For hollow-body stuff, I've got a great sounding 80's Epi Sheraton that I stripped the finish on and added a Bigsby. Strings, I use 10's or 11's. Not picky, but 9's feel ridiculous to me. I also play a 70's Emmons pedal steel, and an Oscar Schmidt electric autoharp. Obviously, Jimi Hendrix is just some of the most enjoyable guitar playing ever, so I readily admit that I unabashedly love Hendrix, but that's just kinda like loving Mozart. I mostly enjoy simple but somehow warped guitar playing: Link Wray, The Misunderstood, Os Mutantes... I love George Harrison's precisely weird bends and slide work. The Stones up to around 'Exile'. My favorite slide playing is from Santo and Johnny (Sleep Walk, Summertime). The Ventures have always rocked my world. Speedy West for pedal steel. I also really dig dirty early blues/rockabilly/rock n' roll (Howlin' Wolf, Muddy Waters, Chuck Berry). I get a lot of comps with rare stuff in that vein. And I love psych stuff, the guitar playing on Serge Gainsbourg records, etc, etc. Some of my favorite music doesn't really feature the guitar.